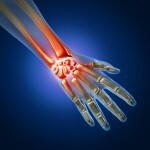 Osteoarthritis is disease of the joints of which we will all get at some point in our lives. More commonly seen after the age of 40 and even more so after menopause. Knee and hip osteoarthritis are the most common forms of this type of arthritis. Its characterised by stiff, painful joints which will worsen with exercise. There is no definite reason to why someone develops osteoarthritis. There are a few different factors that will increase changes such as: heredity, obesity, high impact sports and gender. Females are more susceptible to developing it than men. Early detection is very important to start medication, take more care with diet and to attend physiotherapy. Physiotherapy is important to help relieve pain and stiffness. Improve movement and to educate and give tips on self-maintenance. At Archview, we understand the limits on exercise with patients suffering from osteoarthritis. However, we understand the importance of staying fit and healthy. We have group classes or one to one personal training that is suitable for you. We recommend you to talk with one of our physiotherapists if you are interested in toning up and getting fit. We will ensure you exercises your body into shape safely.